Advanced Audio Coding (AAC) is a proprietary audio coding standard for lossy digital audio compression. Designed to be the successor of the MP3 format, AAC generally achieves better sound quality than MP3 at similar bit rates and is playable in almost all software that can play MP3 files. AAC is the default format used by iTunes. 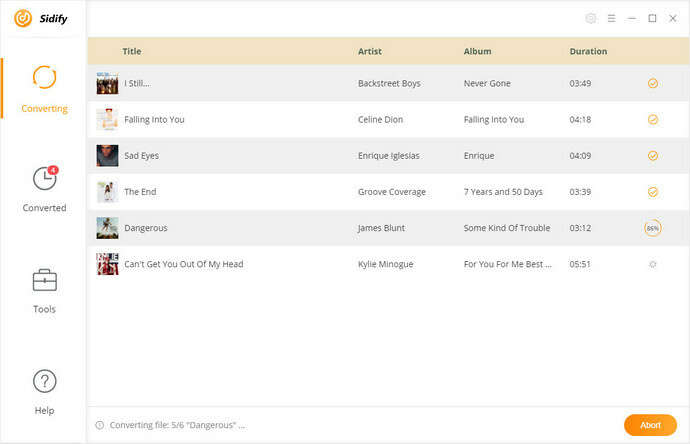 Apple originally used FairPlay to protect content distributed through the iTunes Music Store. Now Apple no long encrypts copy-protect purchased songs and albums, but Apple Fairplay DRM protection is still used in the all your downloaded Apple Music tracks. DRM Fairplay stops you from making copies of these files. In addition, it prevents you playing the downloaded Apple Music on other non-Apple devices. How Can I Convert Apple Music to Unprotected AAC? In order to convert Apple Music to unprotected AAC format, the first thing you need to do is to remove DRM protected from the downloaded Apple Music files. 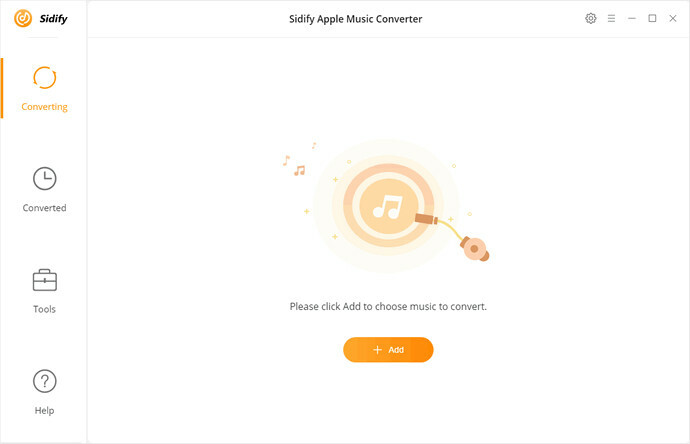 The article here shows you a professional Apple Music to AAC Converter - Sidify Apple Music Converter - it can completely get rid of DRM protection from Apple Music and convert them to common AAC format within a few clicks. 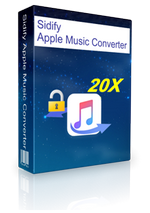 Sidify Apple Music Converter is a comprehensive iTunes Music Converter for both Mac and Windows users. Apart from converting Apple Music to AAC, this program also supports converting iTunes purchased tracks, iTunes M4A, M4B and Audible AA, AAX audiobooks to MP3/ AAC/ FLAC/ WAV with thes best output audio quality kept. What's more, the batch conversion function can allow you to convert a whole album and playlists simultaneously at will. Now let's look at the steps on how to remove DRM protection from Apple Music legally with Sidify Apple Music Converter and convert Apple Music to unprotected AAC format. 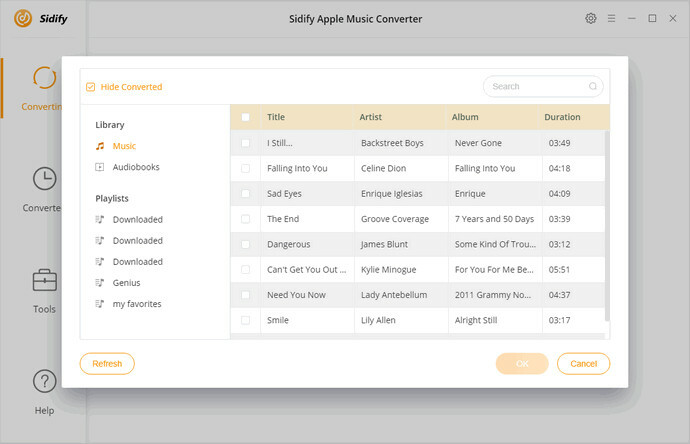 Download and install Sidify Apple Music Converter from the download button above, then launch it and iTunes will be launched automatically if you have installed it. In the first place, please make sure you have downloaded the Apple Music you want to convert. 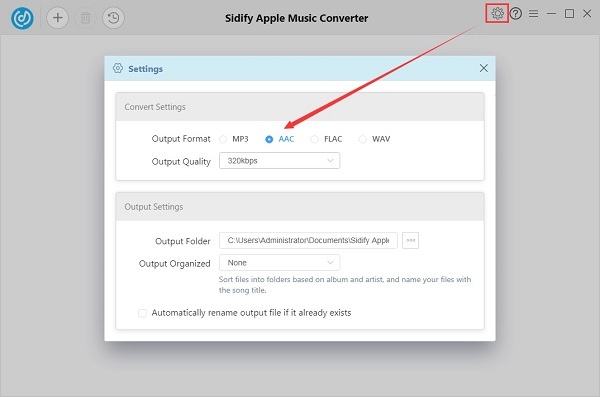 Then switch to Sidify Apple Music Converter and click + button, it will pop up an adding window. Now you can select tracks you need, then hit OK. 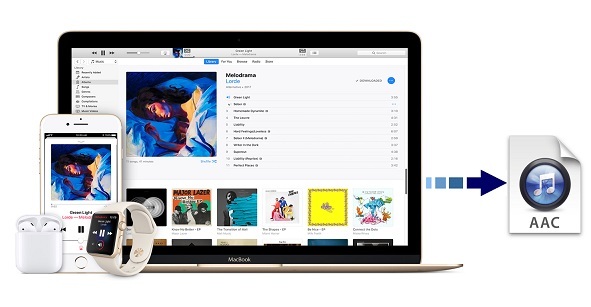 This step is essential to help you to convert Apple Music to AAC. Click Settings gear icon in the upper-right corner to change the Output Format, Output Quality and Output Folder. Here you can choose the output format as AAC and output quality up to 320 kbps to keep the best audio quality. Click Convert button, the Apple Music to AAC conversion process will begin automatically. When the conversion process competed, you can click History button to check the converted Apple Music files.